We’ve seen a few still frames of Benedict Cumberbatch as he performed as the dragon, Smaug for last year’s The Hobbit: The Desolation of Smaug. 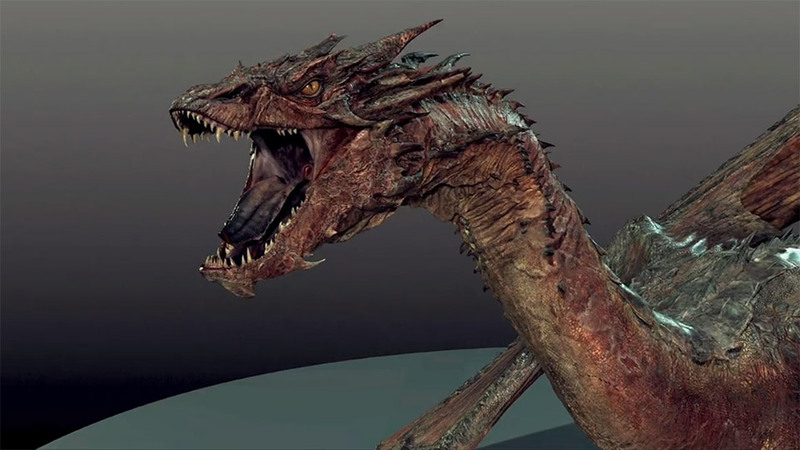 Now, prior to the film’s DVD and Blu-ray release, we get a peek behind the scenes with the special effects studio WETA Digital. Whether you found the film wanting or, as we did, thought the battle with Smaug dragged on too long, you must admit that Smaug was a foreboding presence on film and the team did an absolutely incredible job bringing to life the magnificent dragon. 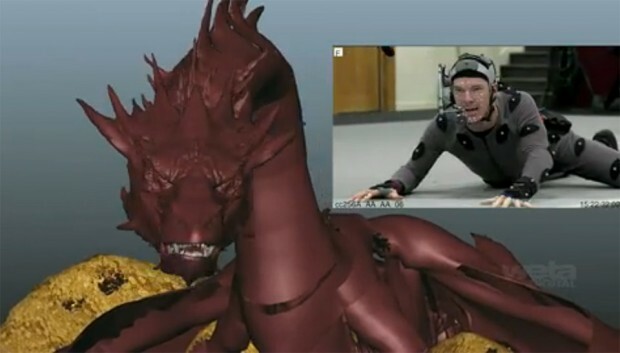 And Benedict Cumberbatch brought so much to the role, from his voice and approach to the dialog to the motion capture for Smaug’s facial movements. The Hobbit: The Desolation of Smaug will be available DVD and Blu-ray on April 8.